We are leading manufacturer of of “Bag Closing Threads” that are used for packaging purpose. Our offered bag closing threads are available in different colors and specifications as per details given below. The provided bag closing threads are manufactured using high grade fiber and ultra-modern technology in sync with industry norms. 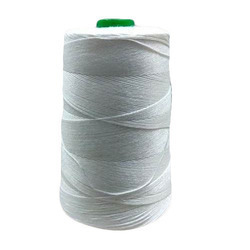 Highly demanded by the clients for its optimum quality and durability, these closing threads are available in different count, denier, weight and lengths.